What will be the price for this lenses in Germany (Europe)? Chinese crap with no real use or users. I want to see more news about relevant gears. Dpreview is full of unnecessary content like this now a day's... Smartphone camera....sony...and now this. I've been a serious amateur for 50 years and while I have a lot of Nikon, Sigma, and Tamron lenses, my Venus 60mm 2x macro and 15mm macro lenses are really great for macro shots. They do make lousy general purpose lenses but that is not what they are made for. Nikon doesn't offer anything similar to these lenses so they give some photographic options that I might not other wise have. Sony is 'unnececessary content' on dpreview? How do you know it's crap? Never trust photographers with a profile photo holding a camera.. It's just the usual "if it's not for me, it's not for anyone" rant. Phtorino - Your condemnation of "Chinese crap" borders on racism and is very poorly informed. I note that your "wish list" contains several items that, unbeknown to you, are actually made in China. A lot of Olympus bodies and lenses have been made in China for many years, and the same applies to many products from Canon, Nikon and several other brands. Are you equally prejudiced against other oriental countries, such as Vietnam, Korea, Malaysia, Taiwan and Thailand, where the vast majority of "Japanese" cameras and lenses are manufactured? I wish that was actually wholly sarcasm, but it's kind of the reality for a good chunk of commenters around here, and it gives this hobby and market a very bad look. @Impulses, we all about the vast knowledge of people from your country, your contributions to the human civilization.. Wait, where are you from again? It's so rich for you to tell Italians are ignorent. PHtorino - The sole reason why this thread has escalated into a mini-war, is that *your* opening post about "Chinese crap" bordered on racism. You could have just stated that you thought the product was "crap", but you implied in your comment that *anything* made by the Chinese is crap, which is absolutely untrue, and insulting to Chinese people. Impulse's retort calling you an "ignorant Italian" was just as bad. To both of you I'd say - By all means criticise *products* but please don't offend the people who make them, just because they are citizens of another country. They are just people like you and me, earning a living. PHtorino: I know reading comprehension can be hard when English is your second or third language, as it is for me as well, but I never and would never call an entire nation ignorant. I called you and only you ignorant, and xenophobic, and a few other things. No one is to blame for any of that but you, unfortunately. The Italian bit was just blatant sarcasm (hence the /S FYI), my entire comment was simply your own comment word for word but flipped on it's head, I hope that was plainly obvious... See how ridiculous it sounds when kinda flippant and disparaging comment is aimed back at you? Feels personal didn't it? Are you not Italian or did you lie on your profile? That's just a statement of fact, I definitely wasn't trying to bunch in any other Italians with you. @Impulses, I didn't know that the standard of English language is defined by someone like yourself now a day's. This is a forum where we express our opinions about camera gears or it used to be anyway. If I don't like something or find it useful or relevant, that does not make me a xenofobe or racist. But when you call me "ignorant Italian" that makes you one. I have seen your profile. I could mention your country. You know it yourself that no country or nation is perfect. Certainly not yours anyway. You're just plain ignorant, and your comment was racially charged, you can try and backtrack it all you want or attack me instead but having a bias against entire companies because of their country of origin or legacy is beyond silly. I'm from Puerto Rico in case anyone is curious btw, proud of it, but also proud of roots I have all over Europe and the US, and I own gear from Sony, Laowa, and countless other multinational brands. PHTorino: I'll state this without snark or sarcasm so there's no way you can misinterpret it. The fact that you're already alluding to the insults you could lob about my birthplace just shows the level of intolerance that occupies space in your mind, it's truly sad. If something isn't relevant to you from a technical standpoint you can shockingly just scroll past it. When you take the time to rant on the site about it's origins and label stuff as "Chinese crap" when it's clearly far from it you become part of a very hateful and very global issue. @nikond7000shooter, you surely have a brain of a moderately smart goat, otherwise you would be able to understand that a bad or crappy product is always crappy no matter where it was made. At the same time my comment does not imply or generalise in anyway that all Chinese made things are bad. They sure make many great products too. But I guess some people like yourself are just too dumb to understand that anyway. So then @PHtorino why did you call it "Chinese crap"? The implication was there whether by accident or design. If you cannot see it then you are the dumb one. @PHtorino you seem to be making very uninformed statements. 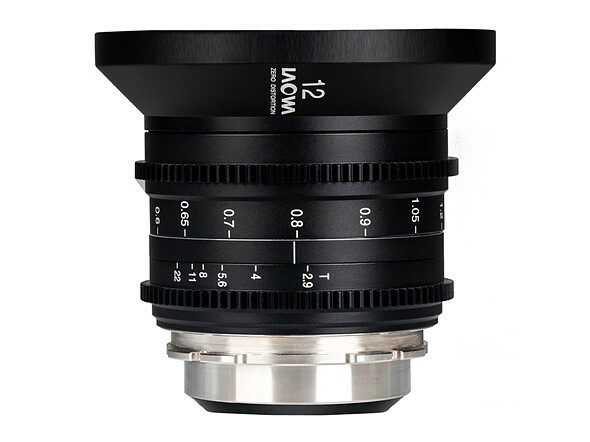 The Laowa 12mm is optically one of the best full frame ultra wide lenses available on the market. It has better distortion control than 14mm lenses form Canon, Nikon or Sigma. You also seem to be 10-20 years behind in understanding of Chinese design and manufacturing abilities. I guess there are probably some very old and out of touch people who still think Japanese products are poor quality too lol. @PHtorino you efforts to backtrack on your insinuation that Chinese products are crap are amusing though... you should consider a career in politics. I'd really like to know who is buying all these cine lenses that they are even worth making? I mean exotic telephotos' costs are almost a running joke in the photography community, as in every camera (er, lens) maker sells maybe a couple thousands of any particular model family during a few decades. Now I'd think there are more photographers than film makers, and yet in the last few years there's been an onslaught of fast cine lenses at prices just as high. Yes I get it that cine lenses are always expensive because the market is small, but that makes me even more curious as in how so many models can exist in such a limited market. How many wide fast cine primes are there? Are lenses so prone to destruction during filming that they need replacing so often? Or are film makers always looking for a new look that they need a choice from a dozen similar lenses? Could it be the rental houses? I too wander about how rich filmmakers are. To paraphrase an old saying: You can make a small fortune in the film making business, if you start out with a large fortune. Obviously they are sold mostly to rental houses, but that just exuberates the question because then you just sell 1 lens to something like 50 people instead of 50 lenses. And anything expensive is mostly sold to rental businesses anyway, whether it's specialty lenses or medium format or lighting or whatever. The explosion of cine lenses in the last few years is still weird. There has been something like an "explosion" of video content creators also in recent years, both amateur and professional. Not sure if this correlates directly to the "explosion of cine lenses", but obviously the companies that make these lenses see a market for them. Think about how many hours a day the average person spend looking at still pictures vs moving pictures, tv/internet/cinema etc and you'll begin to understand why the Cine industry is so much larger that the photo industry. Still waiting for their 100mm Macro lens announced last year. 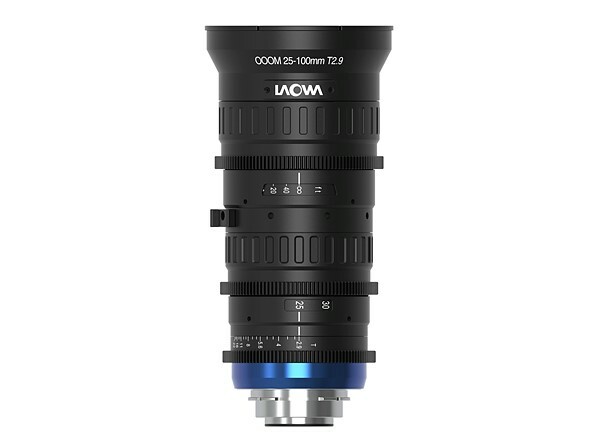 It's really great to see Laowa expanding their lens range. I can't think of another company that caters so well by providing specialised lenses that most other brands omit from their ranges. This is a company that really deserves to succeed. Agreed. Their probesque 24mm macro lens has changed the market. I see a lot of great food related videos shot with it. Initially laughed at as something looking like an alien orifice probe, I see a lot of BTS video using it. From drinks to burgers to tossed salads, it gives a great perspective. That focal length/iris combo is even more useful than Sigma's 50-100mm 1.8, I wonder why noone every tried making one. Aside from a small UWA in the bag, this is all you need. - Cooke: 20-100mm T3.1 and 25-250mm T2.3. Less than 10K for such a useful cinema lens however is amazing! I still think I'd go for a rehoused Sigma 50-100mm f/1.8 and an 18-35mm 1.8 since one will need a wide angle either way. But breathing on that lens is notorious, it looks like literally zooming when moving the focus ring! @Mistral I just found a hidden gem on B&H, a 17-120mm f/2.8, that covers aps-c, small, and is actually a servo zoom (that is detachable for normal work). being 17mm is makes it the only one of all these examples capable of shooting an entire production without swapping lenses. Zeiss released their “under $10K” 21-100mm T2.9-T3.9 lens for APS-C/S35 a couple years ago—and while it has received a lot of praise, seemingly all deserved—I rarely hear about this lens used and don’t see it anywhere either. Unless this Laowa OOOM is *significantly* under $10K, I’m not sure how well it’ll do. I’d personally take the Zeiss’s well tuned variable aperture and its 21mm wide end over a constant T2.9 that starts at 25mm. 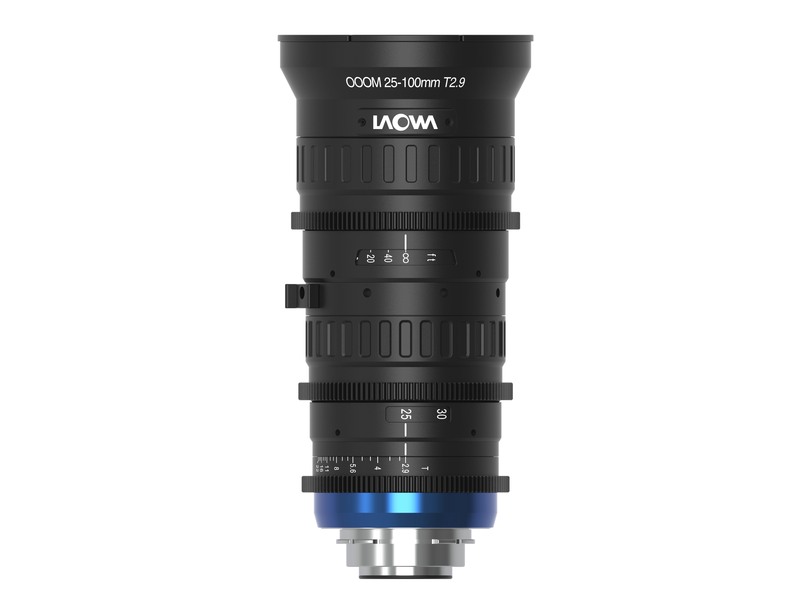 And the Zeiss light weight zoom was engineered from the ground up to match their truly stratospherically priced cine primes and zooms. Closest focus position (minimum working distance measured from the front element): 12.7in / 32cm, not 32mm. I'm still waiting to the 100mm F2.8 2:1 Macro! I have no experience in cine lenses, but I think macro lenses easy enough to use for videos. Most macros have a lot of focus breathing. @Xentinus I don't care for cine lenses, I'm just waiting for the opportunity to buy the 100mm F2.8 2:1 Macro since they announced it a year ago. @IamJF I wouldn't say macros have any more focus breathing than other lenses if you consider macros are designed to focus a lot closer than many other lenses, if the average lens can focus down to 1:4 and has a focus breathing amount of "X" then a macro focused down to 1:4 would likely have a similar amount of focus breathing over the same range, it actually might even be better, however if you plan to keep your frame when going from infinity to 1:1 or 2:1 then you'd better be ready to pay out your * for such a lens.